We are pleased to inform you that the new Impact Factor of Sustainability has just been released. 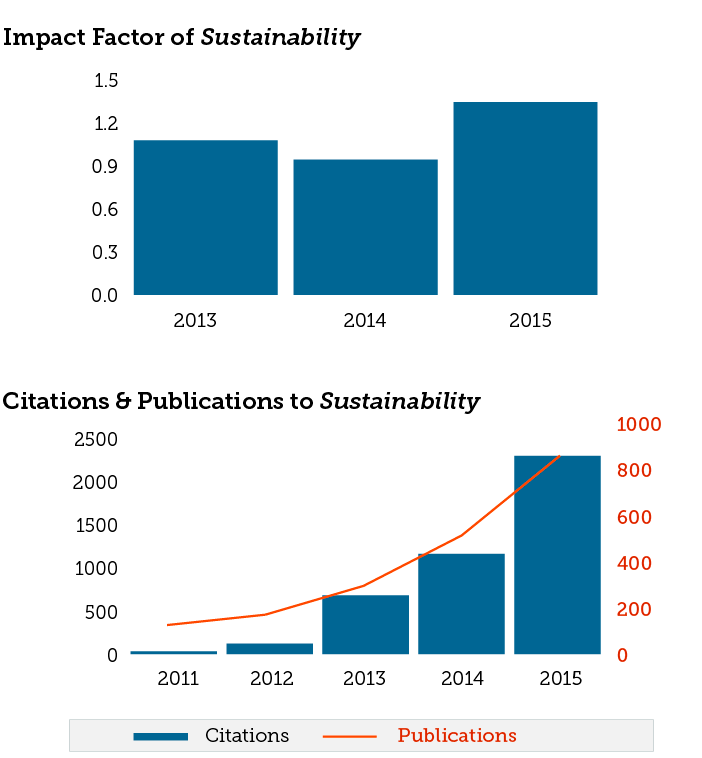 According to the Journal Citation Reports® published by Thomson Reuters in June 2016, the new Impact Factor of Sustainability is 1.343. Compared to last year, the Impact Factor has increased by 43 percent (see figures below). Sustainability now ranks 146/225 (Q3) in the category ‘Environmental Sciences’ and 22/29 in the category ‘Green & Sustainable Science & Technology’.